Support MEIC and celebrate our 40+ years of success of advocating on behalf of Montana’s environment! 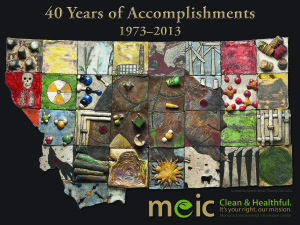 We commissioned the feautured ceramic art on the poster by renowned Whitefish artist Steven Braun. This structured cap sports a cotton twill crown and bill with a mesh back.  One size fits all olive green with contrasting stitching and MEIC logo embroidered on the front. 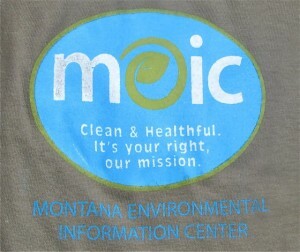 All t-shirts feature MEIC’s logo and tagline: Clean & Healthful. 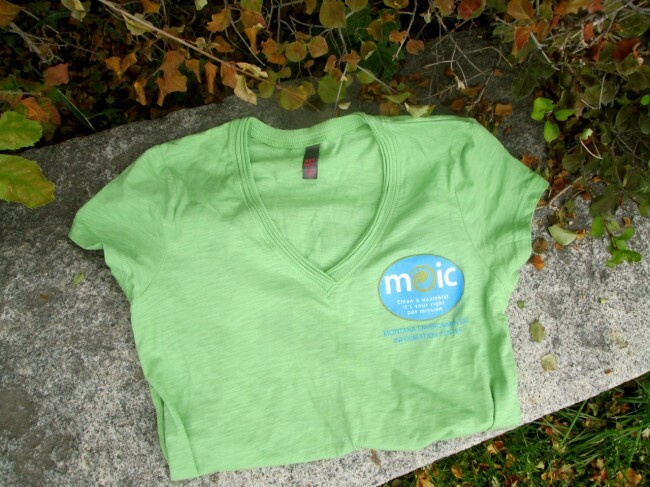 Women’s V-Neck 100% slub cotton jersey available in green and sizes M-XL (This shirt runs small, so please order one size up). 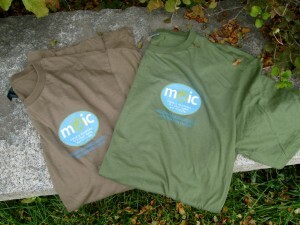 Super-soft 100% ring spun combed organic cotton, available in green and brown, sizes M-XL. The way the wind blows. 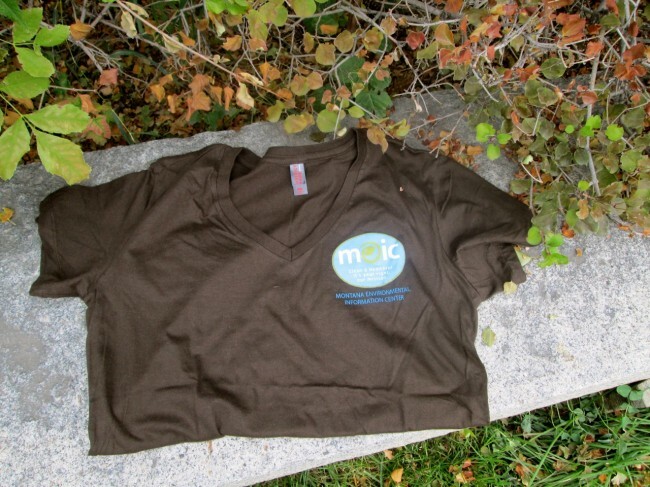 Women’s Perfect Weight V-neck 100% ring spun combed cotton available in brown sizes M – XL.